Pattago Bhikkhu (Monk Steve) guides this sitting and walking meditation class, and gives a short talk at the end. An American monk, Pattago studied Buddhism and practiced meditation for 18 years before ordaining in May 2017. The class is appropriate for beginners and advanced meditators. No registration is required. If you’re new to this class, please come 15 minutes early. Otherwise, please arrive on time so you don’t have to wait for the walking meditation to enter. Meditation for lay people took off in Burma/Myanmar, then spread to Thailand, and in the 1970’s, came here to America. 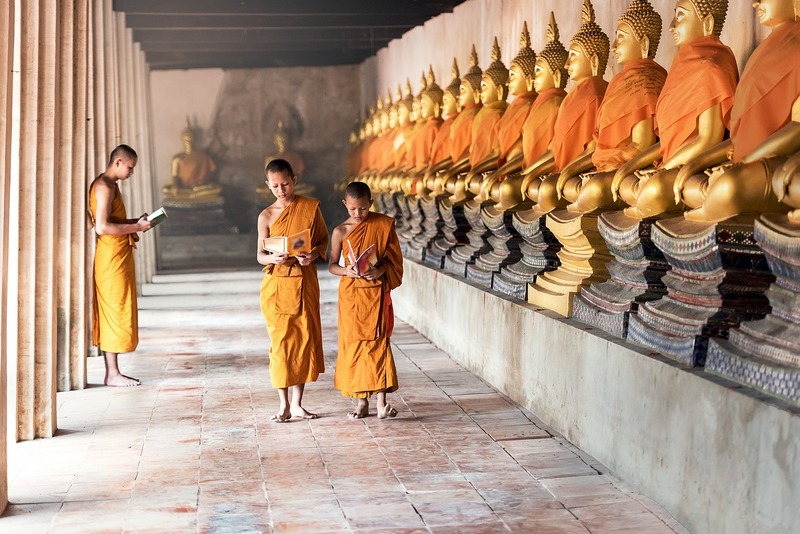 Southeast Asia is at the heart of meditation. All events are free. A $10 donation is requested, but if you can’t donate, please come anyway! Free books at all events. Theravada Buddhism does not believe in selling dhamma like goods in the marketplace. Donations are welcome to help pay for postage.